Just as successful athletes must identify strengths and weaknesses, set goals, and engage in focused practice to meet their goals, so must teachers. Learn how to combine a model of effective instruction with goal setting, focused practice, focused feedback, and observations to improve your instructional practices. Included are 280 strategies related to the 41 elements of effective teaching shown to enhance student achievement. 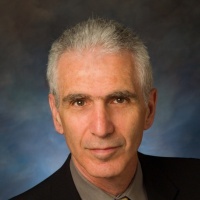 Robert J. Marzano, PhD, is cofounder and CEO of Marzano Research in Colorado. A leading researcher in education, he is a speaker, trainer, and author of more than 30 books and 150 articles on topics such as instruction, assessment, writing and implementing standards, cognition, effective leadership, and school intervention. His books include The Art and Science of Teaching and Effective Supervision. His practical translations of the most current research and theory into classroom strategies are internationally known and widely practiced by both teachers and administrators. Dr. Marzano received a bachelor’s degree from Iona College in New York, a master’s degree from Seattle University, and a doctorate from the University of Washington.